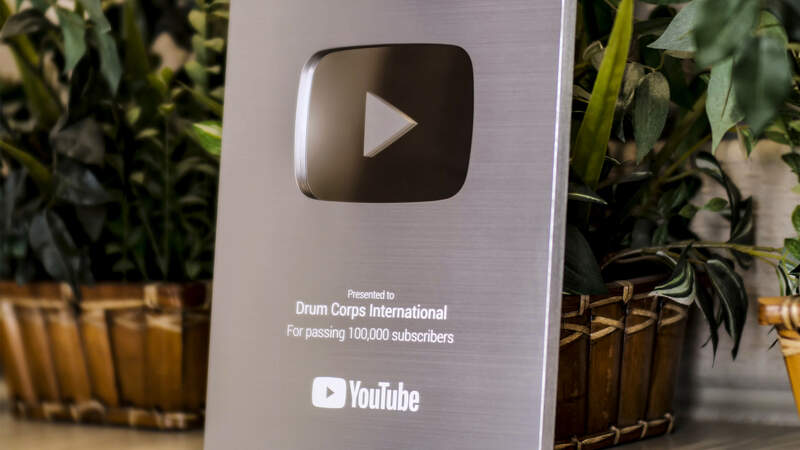 This month Drum Corps International received its “Silver Play Button” from YouTube, a recognition bestowed upon elite channels which surpass 100,000 subscribers. According to data tracked by SocialBlade.com, less than 1 percent of some 24 million YouTube channels have surpassed this subscriber milestone, putting Drum Corps International among an exclusive group of content creators worldwide. Drum Corps International published its very first video on the streaming video platform eight years ago on March 1, 2011, and since then has uploaded more than 1,500 videos resulting in nearly 30 million video views. The channel currently features a mix of content including performance clips, news features, live broadcasts, and promotional videos covering Drum Corps International corps and the annual DCI Summer Tour.